Jamie Dornan and Dakota Johnson looked like a million bucks on the red carpet of the Berlinale World Premiere of Fifty Shades of Grey. 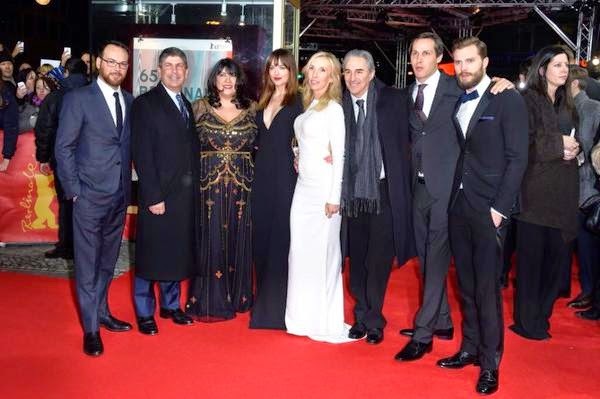 They were joined by other members of "Team Fifty" including E.L. James, Sam Taylor-Johnson, Dana Brunetti and others. Don't miss tomorrow's London Premiere streaming live on Yahoo beginning at 12:30pm EST/9:30am PST.